Previously, you read about differences living in Moscow and Saint Petersburg. Now, you are one way to go to be ready to travel to Russia. After knowing those information, make sure you know about how the people there as well. This can keep you away from troubles and be able to enjoy your trip pleasantly. If you do not know how the people behave or what term they use for certain object, you may experience an understanding, thus giving you a trouble. You should also read most likeable things for Russian people and most hated things for Russian people. Here are 6 differences of people in Moscow and Saint Petersburg that you need to know. Russia is the biggest country in the world, with big number of people. Some of them live in capitals. You may know that people will usually live in capital as the city provides more jobs. This also happens in Russia. However, what you may not know is that there is a big gap of number of people living in Moscow and Saint Petersburg. Although Saint Pete is also a Russian capital and one of big cities in Russia as well, it has lower number of people compare to Moscow. There are nearly 12 millions people living in Moscow, while there are only 5 millions people living in Saint Petersburg. 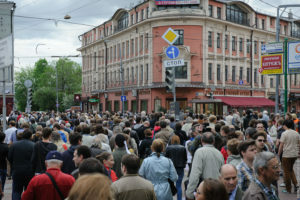 Such number makes Moscow a more-crowded place than Saint Petersburg. Russians are generally kind. However, when compared to other people in other cities in Russia, Muscovites are rough. This is because they have busy, stressful live and always in rush. So, when you ask someone who is in a rush, don’t be surprised if that person is less helpful. 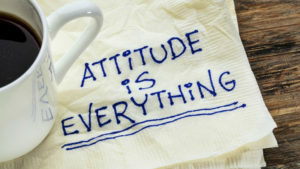 Besides, the attitude derives from the fact that they are hard workers and have a better-developed sense of business acumen. So, they will always think that work should come first. Meanwhile, it will be a lot different in Saint Petersburg. Peterests may better represent a whole people in Russia than their counterparts. This is not because they do not like working, but rather than they enjoy their life. This makes them more benevolent and cultured. 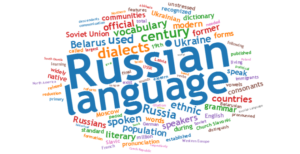 All Russians speak Russian language. However, there are some differences between how people in St. Petersburg and Moscow say certain things. To distinguish these differences, they develop a dictionary that contains 76 entries. The two groups of people have different word choice for the same object. Some of those words are chicken, cell phone, garden and donuts. Muscovits name those words kuritsa, mobila, skver, ponchik and proeznoi. Meanwhile, Peterets name them kura, trubka, sadik, pyshka and kartochka. The difference of language can also be seen in their pronunciation. Peterets tend to say “ch” rather than “sh” that Muscovits always say. If you have an experience of talking to people in both cities, you will see that Peterets say “p” more precisely than their counterparts. Moreover, Muscovites will say “sestra” while Peterets will say “sistra” to name sister. As you may know that Saint Petersburg has so many beautiful palaces and historical buildings. The city also refers to “the window to Europe” as its buildings represents many buildings in Europe. This what perhaps makes Peterets appreciate their city more than Muscovites. It does not mean that Muscovites do not love their city as the citizens both love their cities. 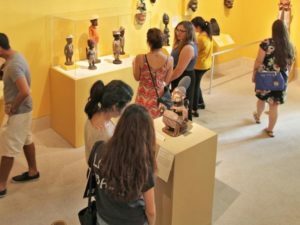 However, the difference lays on the frequency of them attending opera, ballet, or plays and visiting museum to enjoy old exhibits. Peterets appreciate art more than their counterparts. They even have time to spend admiring one of canals from bridge. Meanwhile, Muscovites define their city as having less work of arts. Thus, they do not spare time admiring their city, art, nor culture. One of differences between people in Moscow and Saint Petersburg also lays on how students treat university. While there are some similarities between students in both cities, differences exist, nonetheless. The similarity is the fact that there are students who take their studies seriously by working hard while some others only take their studies as they wish. Difference lays in the seriousness to study. 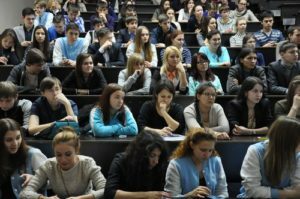 Students in Saint Pete attend classes more regularly and participate in lectures more often than those in Moscow. They also write papers and do assignments with more enthusiasm. Although there are so many good things about people in Saint Petersburg, what most people in the world do not know is the fact that people in the city can be a little bit of rebels. So, you should get prepared when you see there are a lot of Peterets on streets protesting. In fact, there are only 13 percent of Peterets who voted for Vladimir Putin. 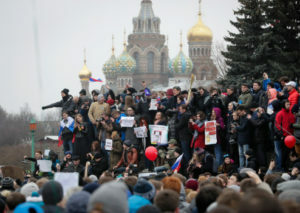 Despite the number, 15,000 Peterets went to streets to protest against the harassment of liberals in Russia after the death of politician Boris Nemtsov. Another thing that urges Peterets to protest is Putin’s military intervention in Syria. Those are 6 differences of people in Moscow and Saint Petersburg. You can also read best way to star learning Russian.